An excellent article in 'New Scientist' last week explored the rise in plant based alternatives to meat, to reduce the environmental impact of our diet. 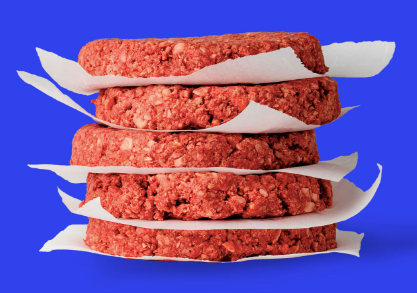 The Impossible Burger is made from plants: pea protein, with added ingredients such as beetroot to give the 'bloody' effect of a decently cooked burger. They are proving popular, and the article outlines the development of the company. Follow them on Twitter, and you will see that there are several other companies who are developing alternative meats.